Spring Nail Facts - Choosing the perfect style & salon for you! 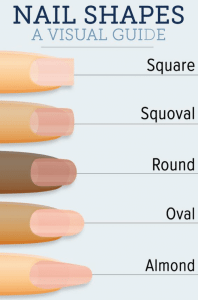 Spring is right around the corner and we want to give our natural nail clients a little lesson and teach you about some of the nail terms and facts you should look for when choosing a nail salon & technician. 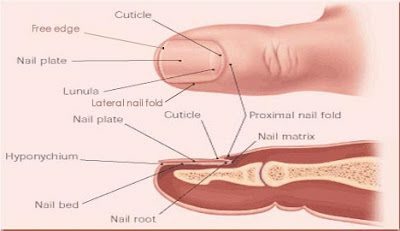 Cuticles – The cuticle has two parts, the dead tissue that professionals call cuticles, and the living skin called the eponychium. Most people don’t realize that there are two different types. We as professionals should never remove the eponychium because this is the protective skin that covers the matrix where nail cells are made and it prevents bacteria from entering. We can tell the difference between the two because the cuticle is dead, dry white skin that we see when we gently push the cuticle back. 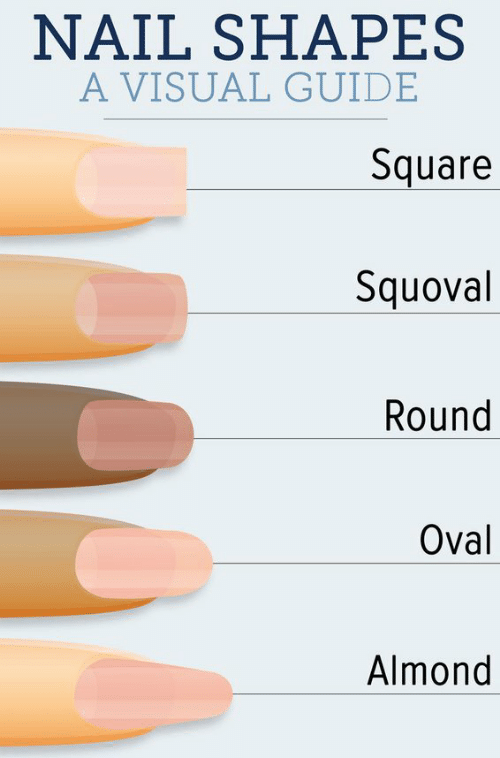 Any cuticle that is the same color or not flaky is the eponychium. Some clients may have a buildup of eponychium that may feel callus, this could be due to the fact that too much had been removed too quickly and the bodies response is to send extra cells there to protect the finger/nail. The best course of action is to lightly buff the callused eponychium and moisturize the cuticles to create a healthy environment for the nail to grow stronger and the skin around to stay soft. Free Edge– the free edge is the white of the nail, the part that grows over the finger. We never want to cut this so short that we can no longer see any white (free edge) because if we do, we can compromise the hyponychium, which is the barrier of skin just under the nail that keeps bacteria out of the nail bed. Nails can be cut short just leaving a trace but never to the very end. Pterygium (the-RIJ-ee-um) Some clients may also have skin that grows with the nail either at the cuticle or with the hyponychium, this condition is called nail pterygium (the-RIJ-ee-um) and care should be taken not to clip or nip that skin. The technician can use lotion or oil to gently push this back and we recommend the client do this often as it will help the skin not want to grow with the nail. Onychocryptosis (ingrown nails) – I have had a few clients with this and successfully fixed this problem for all of them. The trick is to convince them to let the sides of the nail grow past the skin so the corners are at free edge growing past the groove then the corners should be rounded and never cut shorter than the skin and they will no longer have ingrown again. Cuticle oils and lotions on the grooves help to keep the skin soft and the pain of letting the nail grow out a bit less. Square – this is most popular with acrylic nails because the nail is a bit thicker and the corners do not scratch as they would on a natural nail. Rounded – just that rounded. Oval – this is almost a point on top but still rounded. Almond – is pointed, this is however the weakest shape in which to shape the nail because you must file at the weakest part of the nail which is where the nail, skin and nail bed meet. When choosing a nail salon make sure you go to someone who knows what they are doing and is certified. 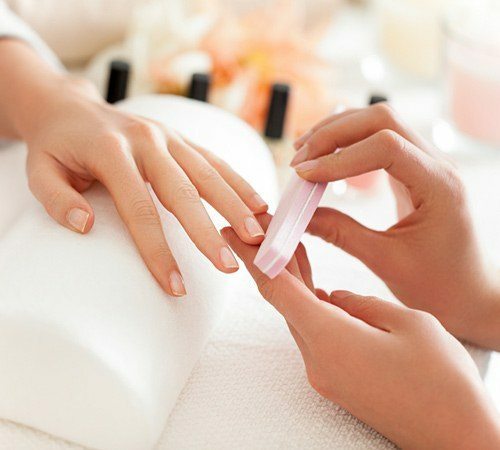 They will be able to help you with any problems you may be having with your nails and they will be able to provide you a healthy, clean and enjoyable experience!